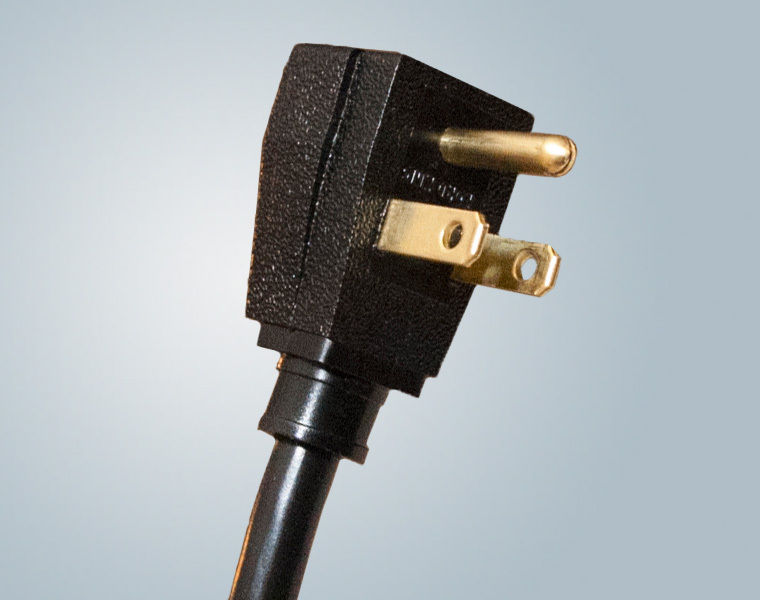 Kord King is the largest US manufacturer of right angle power cords and cordsets in the basic NEMA 5-15P configuration. The right angle 5-15P is available in 2 styles – either the standard orientation of the ground pin at the bottom, or with the ground pin at the top. Kord King also manufactures the NEMA 5-15P in 6 different offset right angles, 4 different configurations for Heavy Duty (5-15P, 5-20P, 6-15P and 6-20P) and 8 configurations for Industrial Duty (5-30P, 6-30P, 6-50P, 10-30P, 14-30P, 14-50P, 14-60P, 15-30P and 15-50P). 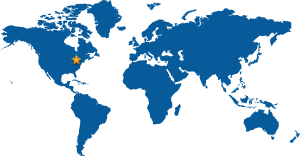 We provide the best lead times in the industry with typical delivery times within 1-2 weeks, and better if needed with reasonable minimum order quantities. 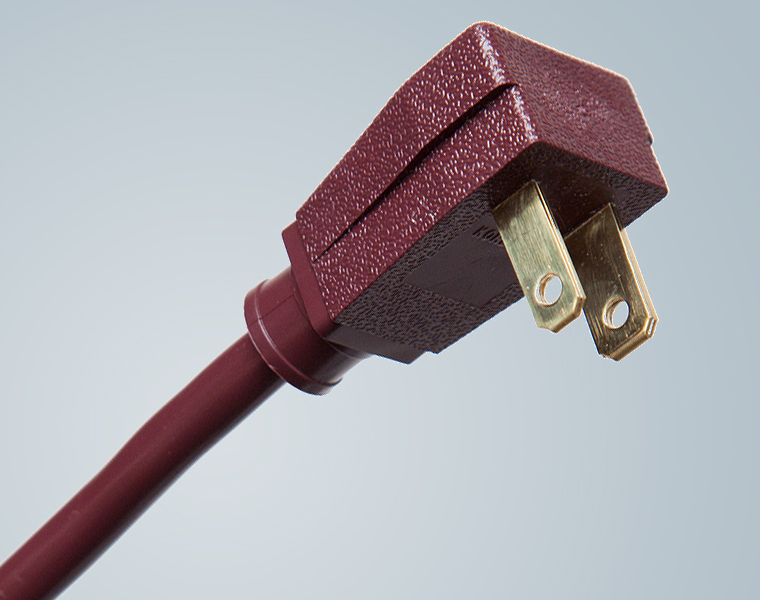 These standard right angle power cords and cordsets are widely used in the appliance industry where tight space requirements and safety issues are common. Right angle cords are available in both the NEMA 5-15P, 3-conductor and NEMA 1-15P, 2-conductor (standard or polarized) configuration. All Kord King’s right angle power cords are U.L. listed and C.S.A. approved. Our molded, ergonomic plugs have an extra-large head with deep contoured ridges for easy, non-slip handling, and, they also feature a heavy-duty strain relief. 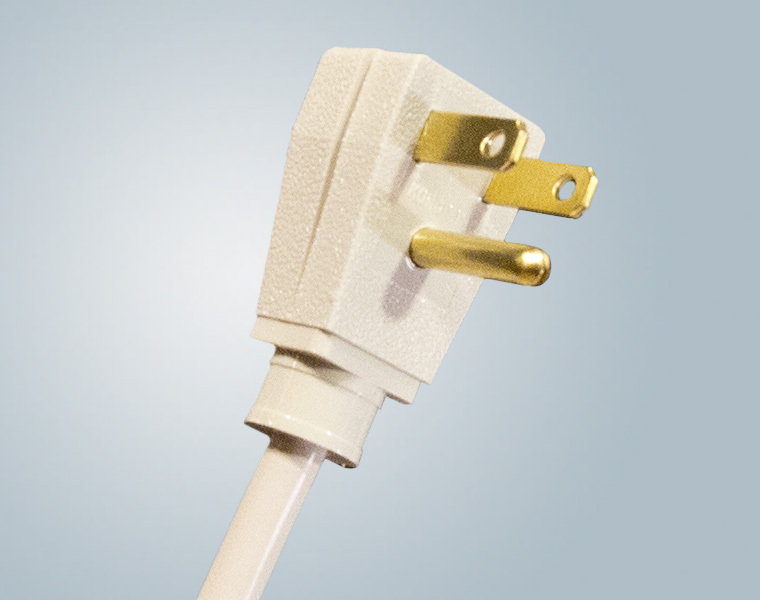 Right angle power cords are available in a variety of colors in any length with opposite end terminations manufactured to customer specifications.